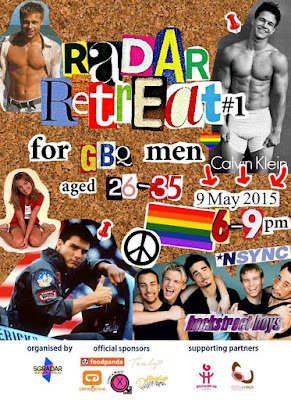 Radar Retreat is SGRadar's first networking programme where it provides a platform for GBQ men (aged 26 to 35 years old) to network and mingle with new people over an evening of great food and novel activities. Radar Retreat 1 is officially sponsored by foodpanda, Tealy, Climb Central, Cutey & Beauty and Dottinghill. It is also supported by gayhealth.sg, AWARE and Oogachaga.